Most people still have a 20th century vision of retirement in their heads: an idyllic 20-plus-year vacation spent traveling, pursuing hobbies, and hanging out with grandchildren. As compelling as that vision might seem, there are game-changing challenges to the retirement of the 21st century. Life expectancies from birth increased by more than 30 years during the 20th century, resulting in millions of retirees living well into their 80s and 90s. This is one of humankind’s greatest achievements, yet many people are wringing their hands over a “retirement crisis.” If you’re in your 60s or 70s, would you rather be dead, or roll up your sleeves and figure out how to plan for a long life? Recent research points to a growing life expectancy gap based on income, wealth, and educational attainment. Career workers and professionals who’ve participated in health insurance and retirement savings plans throughout their working lives are likely to live longer than the average lifespans reported in the media for the population at large. Even though Americans are living longer than prior generations, the average age at retirement of U.S. workers has held steady for many years between ages 62 and 63. The result is that many retirees will need to finance a retirement that could last 20 to 30 years. Traditional defined benefit pension plans promised to pay workers a lifetime pension, yet they’ve largely disappeared in the private sector. The emergence of 401(k) plans as the retirement plan of choice require older workers to be their own investment managers and actuaries in retirement. That means they need to take it upon themselves to see if they’ve saved enough money to retire and how to make their retirement savings last the rest of their potentially long lives. 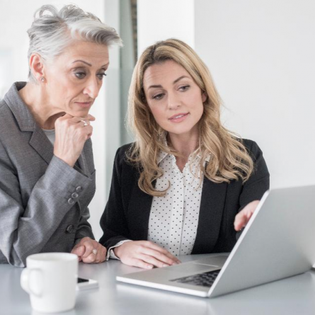 These tasks are often beyond the skills and expertise of most older workers. Retirees must prepare to survive multiple stock market crashes during their long retirements. For example, there were four major stock market crashes during the 30-year period from 1987 to 2017. There will most likely be more during your retirement. You’d have to be a modern Rip Van Winkle to be unaware of the challenge of high medical costs in the U.S. and of the challenge of obtaining affordable health insurance. As a result of these challenges, most older American workers haven’t saved enough money to retire full time at age 65 under their pre-retirement standard of living, as measured by the amount of retirement income that’s realistic to expect from their savings and Social Security. This is the sobering conclusion of a recent report by the Stanford Center on Longevity (SCL). In spite of the serious challenges that we face, it’s a good time to be aging. There’s plenty of scientific and medical research that informs us how to live long, healthy lives. Social research shows what makes us happy and gives us meaning, particularly in our later years. There are many robust, efficient financial products and services, as well as nonprofit organizations like AARP, Area Agencies on Aging, and local nonprofit service groups that advocate for seniors and provide helpful resources. And these resources are at our fingertips because of the internet. None of these resources were available to our parents’ generation, so we’ve got a tremendous head start. We have a robust toolkit of game-changing strategies and insights we can use to address our serious challenges. There’s a big difference, however, between these recent 21st century advantages and the advances in the 20th century that contributed to the gift of 30 additional years of life. Our parents’ generation broadly realized the life expectancy gains in the 20th century, due to abundant food, clean water, efficient sewage and waste disposal, electricity, and vaccinations against deadly diseases, to name a few. They didn’t have to expend much effort or make decisions to take advantage of the public health advances during their lifetimes. In today’s world, however, we need to make conscious choices between the elements of society that are supportive of long, healthy lives, and those that work against that goal. Examples of the latter include enticing ads to eat unhealthy food, drink unhealthy beverages, spend all our money, go into debt, and not save sufficient amounts to fund potentially long lives. Because of these trends, our gift of extra years of life came with some strings attached — we’ll need to spend the time and effort it will take to live well during most of these extra years, and not be a burden on society or our children. Since we’re the first generation to face these challenges, we’re navigating uncharted waters, and it’s up to us to make the best of what we’ve got. My new book shares strategies to face our significant challenges — Retirement Game-Changers: Strategies for a Healthy, Financially Secure, and Fulfilling Long Life. Nobody promised it would be easy for the millions of us living today to add 30 years to our average lifespans. Your new “retirement job” is to face up to the accompanying challenges to decide how to make the most of this gift of these extra years of life. Some people are enthusiastic about the possibility of living a long time. Others say they aren’t, having seen their parents suffer in their later years. Regardless of your views on the topic, there’s a good chance you will live a long time, so it only makes sense to take steps to live long and live well.